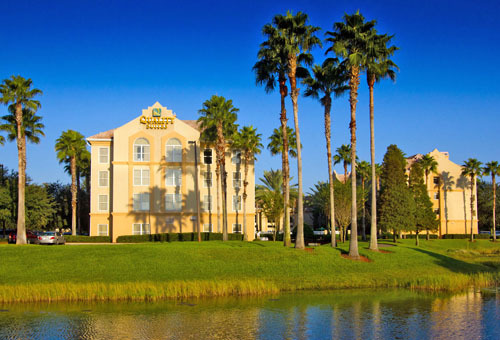 Located just minutes from popular Orlando attractions, Quality Suites Lake Buena Vista offers comfortable accommodations and convenient amenities for all traveler types. 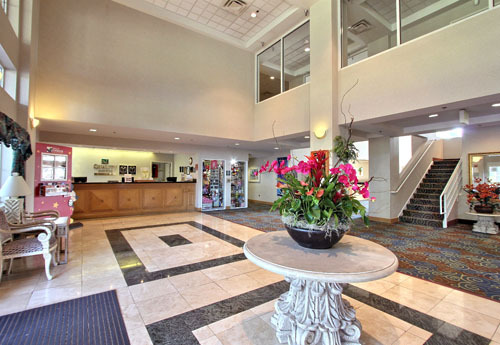 Guests can enjoy an on-site fitness center, an outdoor pool and whirlpool spa, a jogging trail, a laundry facility, flexible meeting space, a business center, complimentary scheduled shuttle services and daily breakfast, and more. Located just 2.4 miles from Disney Springs, 6 miles from Wet 'n Wild Orlando water park, and 7 miles from Universal Orlando Resort. Free scheduled shuttle service to Disney Theme Parks and Lake Buena Vista Outlet Mall. Use Carter Parkway to go to the Premium Outlets; there is less traffic from Lake Buena Vista and SR 535. An all suites property, sleeps up to 6 people per room. Enjoy the free Wi-Fi and free breakfast daily. 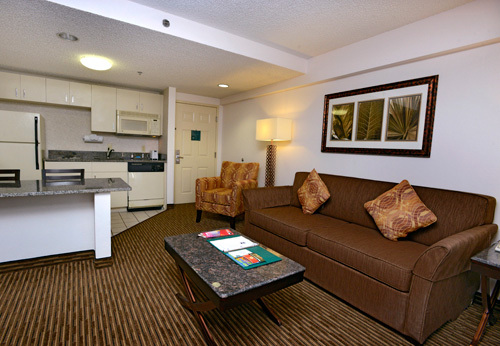 Suites include full kitchens and flat screen TVs. Take a swim in the outdoor pool. 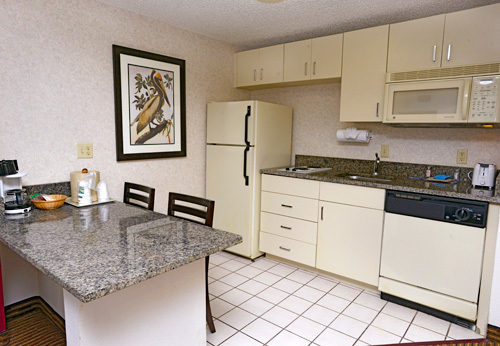 Quality Suites Lake Buena Vista hotel in Orlando near Walt Disney World. 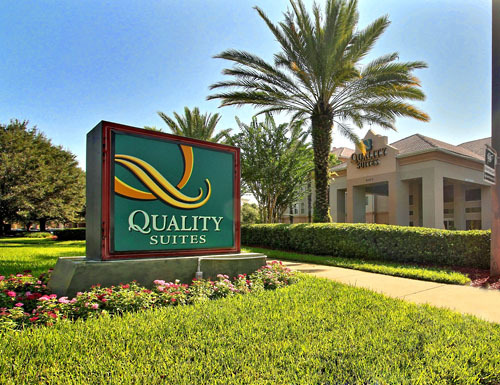 Nestled in a beautiful and peaceful resort area, the 100% smoke-free Quality Suites® Lake Buena Vista hotel is just minutes from downtown Orlando and the Orlando International Airport. 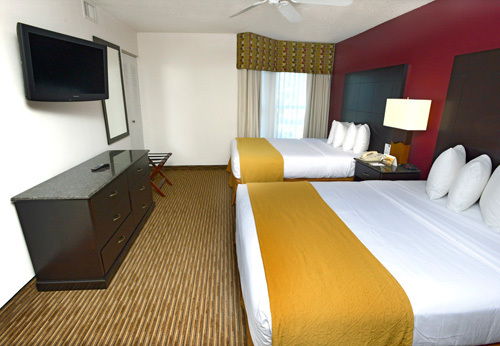 This all-suite Orlando, FL hotel is only one and a half miles from Disney Springs, an outdoor shopping, dining and entertainment area located at Walt Disney World amusement park. 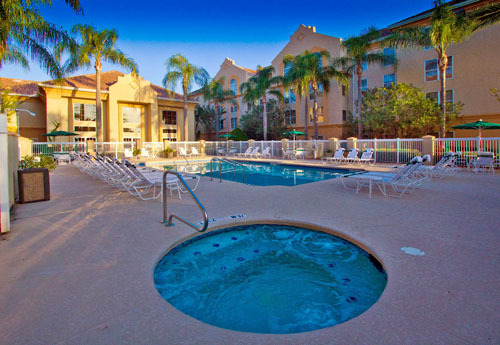 In addition, Universal Studios, SeaWorld Orlando, Aquatica, and Wet 'n Wild water park are just minutes away. Several championship golf courses are located just minutes from our hotel. A wide variety of restaurants, entertainment areas and cocktail lounges are located in the surrounding area. 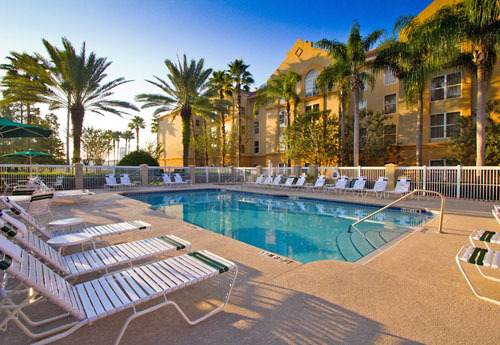 Soak up the Florida sunshine while relaxing in the outdoor pool and hot tub. 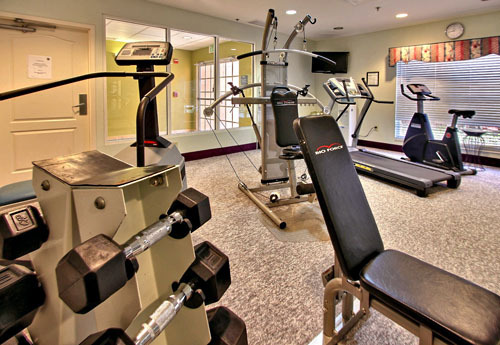 Be sure to take advantage of the exercise room and game room. There are no additional fees when staying at this hotel. Corporate travelers will appreciate conveniences like a public computer with Internet access, a business center, and access to copy and fax services. The banquet and meeting rooms accommodate up to 60 people for most events and business functions. 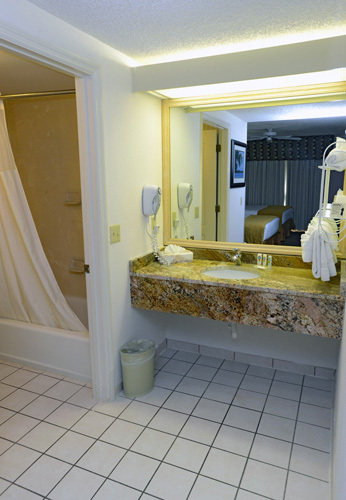 All guest rooms have fully equipped kitchens with full-size refrigerators with ice makers, microwaves, stove tops, dishwashers, coffee makers, utensils, curved shower rods, irons, ironing boards, hair dryers, pillow-top mattresses, voice mail and two televisions with cable. Laundry facilities, a tour desk and a sundry shop are located on the premises for your added convenience. Our friendly, multilingual staff is always ready to assist. 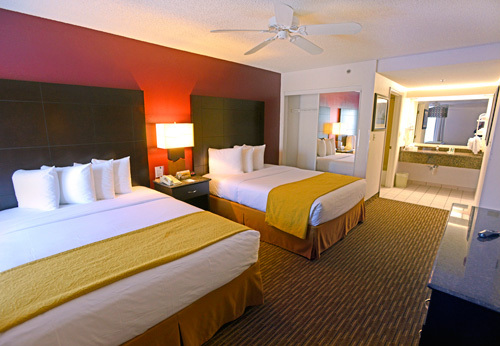 The Quality Suites Lake Buena Vista hotel in Orlando, FL offers the best in all-suite accommodations. 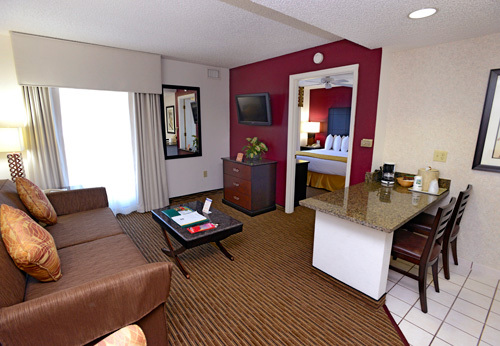 We have everything you need for an enjoyable business trip, family vacation or weekend getaway. Guests must be at least 21 years of age in order to check-in to the hotel. No. This hotel is 100% smoke-free. 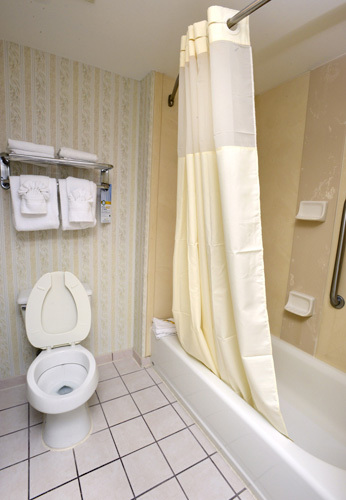 Guests who do not adhere to this policy by are subject to a fine. Is a theme park shuttle available? Yes. 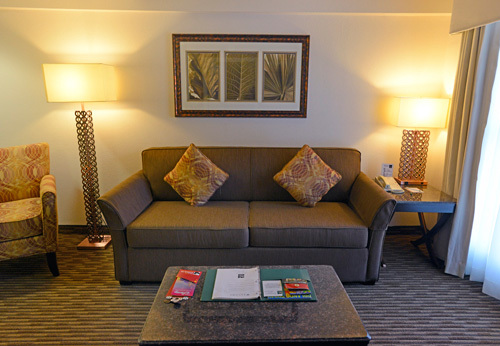 The hotel provides guests with scheduled transportation to Walt Disney World theme parks. Is a complimentary breakfast offered? 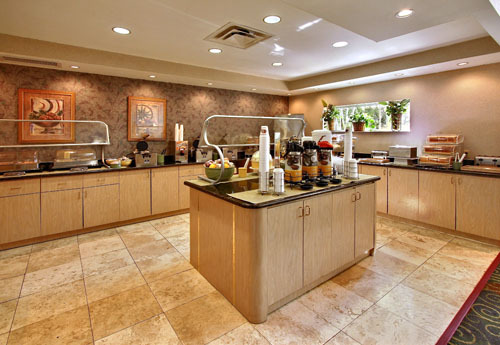 Yes, guests can fuel up for the day with a free full breakfast provided by the hotel.